Hi everyone! I'm so honored to be guest posting today on Catherine's blog. 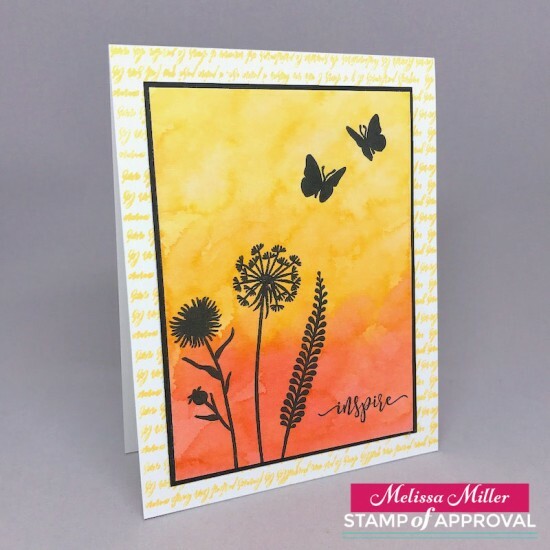 I absolutely love the products in the Naturally Inspired Stamp of Approval collection so I thought I would share a card I created using products from that collection along with a few of Catherine's amazing inks. I started by creating a watercolor wash background using Tiara, Tiki Torch, and Tutti Frutti inks. I added a few drops of each ink from the refill to a craft mat then added water to dilute it down a bit. To help add lots of depth and texture to the background, I slowly built up the color by adding the colors in several layers and drying the panel in between each layer using my heat tool. By the time I was done, I think I ended up doing about four or five layers of color. For the stamping, I used Midnight ink and images from the Wild Garden stamp set. 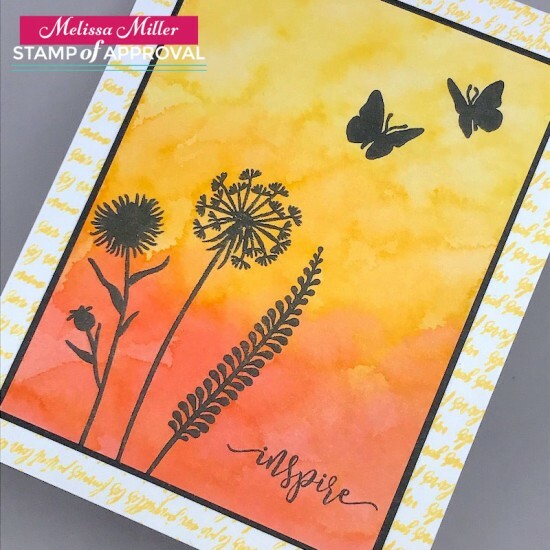 To complete the focal panel, I added the inspire sentiment from the Birds of a Feather stamp set. I also used the script border image from Birds of a Feather and Tiara ink to create the background on my card base. To assemble my card, I matted the watercolor panel on a piece of black cardstock. 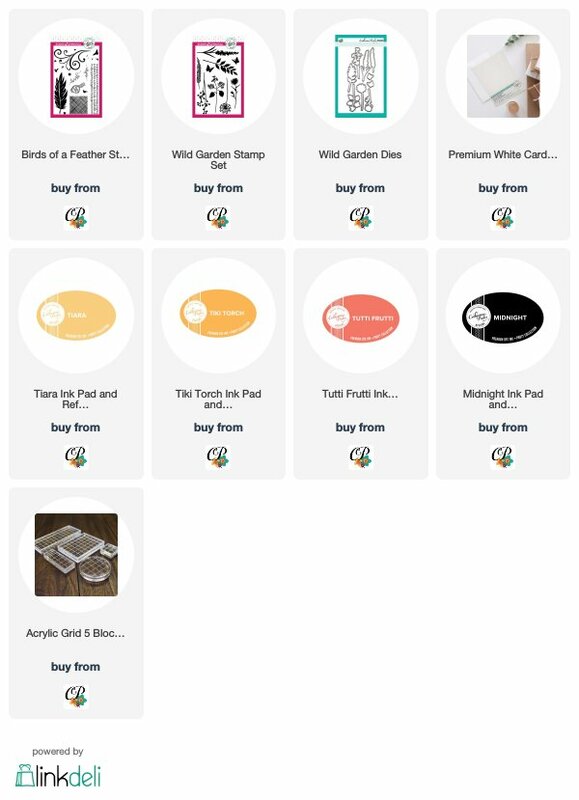 I adhered that to the card base and that completed my card. It took a little while to make this card due to all the ink layers, but I think the end result was totally worth it. I hope you like it!